Made from porcelain, ceramic or a variety of different metals, dental crowns fit over the top of a damaged tooth like a protective barrier. They are designed to look and feel like a natural tooth once they are cemented in place by your Naperville dentist. The natural tooth may need to be filed down in order to ensure a proper fit with the crown. Why are crowns so useful? 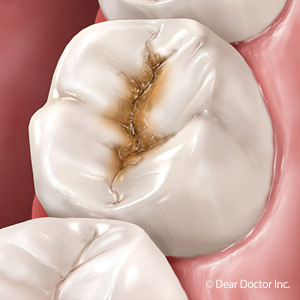 As long as a tooth's root structure is still intact, a crown can usually be placed to treat advanced decay or breakage. Keeping as much of the tooth as possible is your Naperville dentist's goal; when a tooth is extracted, this leaves an empty space in the mouth and the jawbone. Because your teeth rely on each other for support, a missing tooth allows nearby teeth to "migrate." This movement can lead to crookedness and further loss of teeth. Crowns allow a natural tooth's root system to remain in place while replacing the visible portion of the tooth that has been lost to decay or breakage. 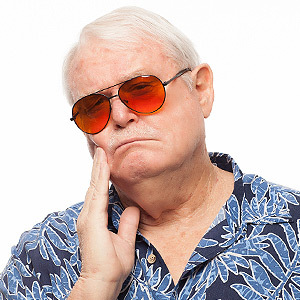 Don't let a broken or decayed tooth persist. This can lead to further decay and pain. Dr. Pirooz Zomorrodi and his staff at Advance Family Dental Care in Naperville are looking forward to helping you retain your teeth and improve your smile through the use of dental crowns. Give us a call today!